[0:17] <mac-> is RPi 1 still supported ? [0:29] <pksato> mac-: Yes. But, need to chech individual software or hardware. [0:50] <mac-> pksato: what do you mean ? 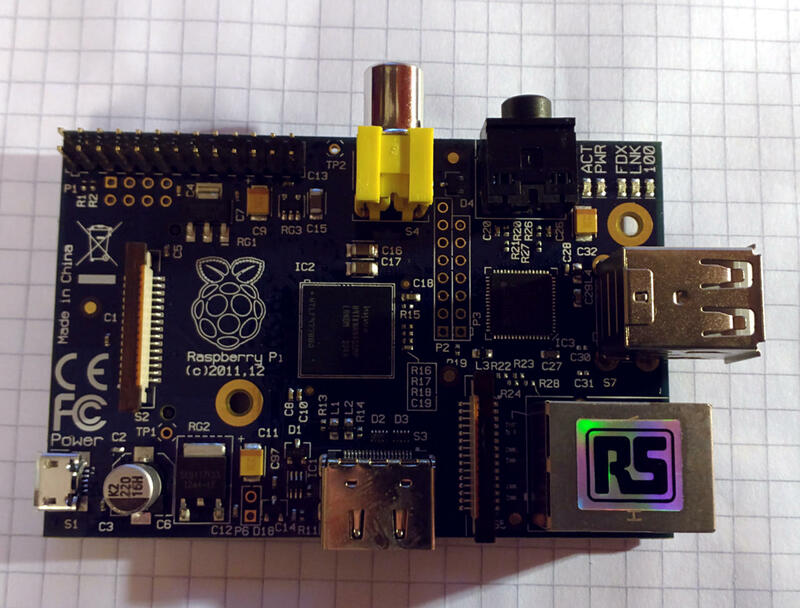 [0:54] <pksato> some sw or hw can be designed to specific verion of rpi. [1:13] <mac-> is there good support i.e. for GPIO use or it is only for Python ? [1:23] <mac-> pksato: you mean this? [1:28] <mac-> have you heard about this book ? [3:52] <Technicus> When I type: < https://gist.github.com/Technicus/a923e0f6d60e42b40609#file-mplayerusb-sh > mplayer opens, but is very dark, here is the output: < https://gist.github.com/Technicus/a923e0f6d60e42b40609#file-output >. How do I make it brighter. Here is output from lsusb: < https://gist.github.com/Technicus/a923e0f6d60e42b40609#file-lsusb >. [4:12] <Technicus> how do I turn off screen blanking of composit output? [5:21] <Technicus> What are you doing over there? [5:26] <nos09> Also I am using gentoo. [5:30] <nos09> any idea what is going on ? [5:45] <tobeornottobe> hi guys! i am looking for a raspberry pi camera video sample (file itself). Without any editing and converting, thats why youtube and other sites videos are not needed. Where can i find that? [6:20] <tobeornottobe> Raspberry pi camera has a very wide "wire". Is it possible to fold it lengthwisely? or it will break "wire"? [6:22] <[Saint]> Possible, sure. You'll only get to do it a couple of times before the ribbon fails though. [6:22] <[Saint]> Generally speaking they're pretty brittle. [6:23] <[Saint]> You can bend them relatively fine, but they sure don't like sharp creases, or repeated flexing. [6:27] <tobeornottobe> [Saint] thank you for answering! did i use word "lengthwisely" correctly? i mean exactly to bend it by length, not by width. [6:27] <tobeornottobe> You mean i can fold it 1 time and it will work fine? [6:27] <[Saint]> it should be, as long as you don't put a sharp crease in it. [6:28] <[Saint]> the wires within are *reaaaaaaally* tiny, and relatively fragile. [7:00] <tobeornottobe> [Saint] hi again. Do you know: does raspaberry pi camera and noir camera work with common webcam programs for linux? Does it work like a typical webcamera? [7:02] <[Saint]> No idea, I have never used one for that purpose. [7:27] <Technicus> Anyone know how to capture video from a webcam to a file with ffmpeg and pipe the video from the webcam to ffplay at the same time? [7:27] <Technicus> I feel like I am circling a solution with this: < http://superuser.com/questions/322216/how-can-i-pipe-output-of-ffmpeg-to-ffplay/489082#489082 >. [8:31] <Technicus> I finally came up with a solution: < https://gist.github.com/Technicus/a923e0f6d60e42b40609 >. It is not optimum, but it satisfies my objective. [8:58] <divx118> Does anyone know if the rc-switch branch raspberry-quigg https://github.com/sui77/rc-switch/compare/raspberry-quigg is working for the pi? I used to use https://github.com/r10r/rcswitch-pi, but that one is a bit out of date. [9:21] <Moonsilence> what is pistore? [9:24] <Moonsilence> There is a link in my home folder called pistore.desktop and I was wondering if it could be deleted. [9:25] <Moonsilence> Is it only needed when using GUI? [10:26] <Moonsilence> Is it possible to upgrad wheezy to jessie, or do I need to do a fresh install and migrate my files? [11:08] <chappi42> yay! bought a rpi2. got any ideas? [11:19] <divx118> nid0, I should be ok with setting it up, did it before for other devices. If it is only this I need to compile it indeed isn't worth the effort. [12:57] <divx118> BTW fixed my compiling error https://github.com/lexruee/pi-switch-python/issues/13 for https://github.com/lexruee/pi-switch-python by increasing the swap. 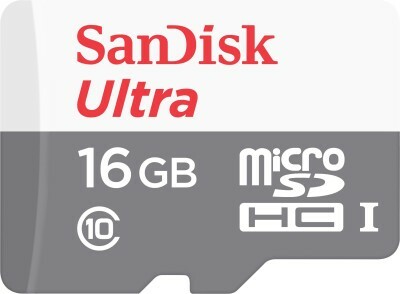 [15:04] <Vyom> A bit offtopic but can anyone tell me the difference between the two sd cards: One is White and other Red Sandisk Ultra 16 GB card? [15:17] <t3chguy> one is coined the "Mobile Ultra"
[16:47] <Vrooom> hi, whereabout on board of pi2 you can put fan on? and what voltage ? [16:49] <pksato> rpi not need any type of cooling. [16:51] <Vrooom> what about heatsink? [16:51] <Vrooom> i play quake 3 on it. [18:06] <greyltc> Does anyone in here have the official touchscreen? [18:07] <greyltc> How well does it work with raspbian? [18:07] <greyltc> Is there even a distro that's touch ready? [19:05] <cnd_> If I customize a Raspberry Pi, can I patent the customized IP? [19:17] <gordonDrogon> copyrighting your specific parts would be easier. [20:09] <gordonDrogon> because if you don't, someone else will - which is a sad reflection on the state of affairs nowadays which wasn't really what patents were intended for. [20:35] <hstl> Hi all! What do you think of chinese Raspberry Pi. Quality? [20:54] <cnd_> I run a logistics business in Africa and am building a spinoff hardware + SaaS platform. 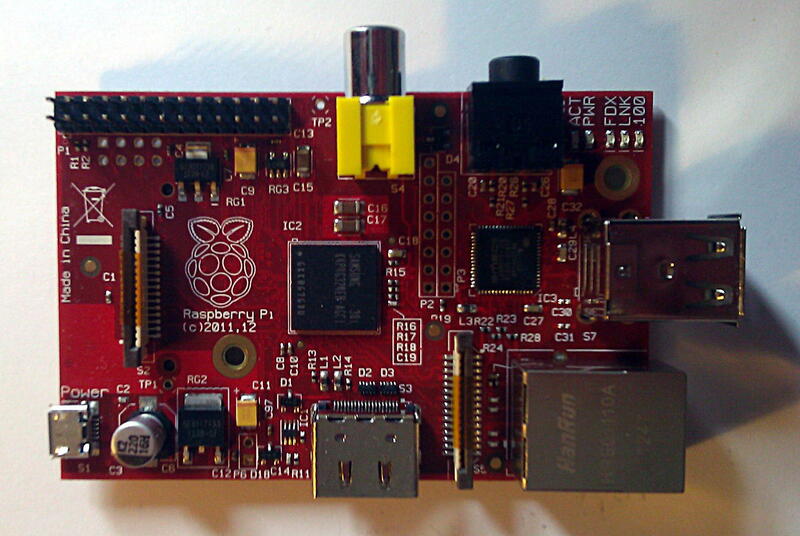 Looking for a Raspbian developer. Where’s the best place to find one? [21:00] <cnd_> how did you reply to me directly with highlighted text? [21:00] <cnd_> did that work? [21:05] <hstl> Hi all! What do you think of chinese Raspberry Pi. Quality? [21:11] <hstl> red pi = chinese pi? [21:25] <molgrum> hey all, when i apply changes to my router the RPI is unreachable. whose fault is this, the openwrt firmware or the Pi? [21:42] <kookie> if it don't find the router, power down the router and power it back up. [21:57] <kookie> what OS you using? [21:57] <molgrum> can i just ifoncifg down+up? [21:57] <[Saint]> What form of reservation technique are you using for the router? [21:57] <[Saint]> specific assignment, DHCP reservation, etc.? [21:58] <[Saint]> That should "Just Work". [21:59] <kookie> do you have the wifi config window open? [22:00] <kookie> ok, manage tab? [22:00] <gordonDrogon> kookie, I have a blue Pi too. Is there a white one? [22:02] <molgrum> kookie: hmm, are you talking about the Pi now? [22:03] <kookie> ahh, ok... in terminal key in "raspi-config"
[22:05] <gordonDrogon> kookie, http://unicorn.drogon.net/redPi.jpg - seems fine to me. [22:05] <molgrum> or am i misunderstanding? [22:08] <hstl> gordonDrogon, thanks for answer! When did you buy it? [22:09] <gordonDrogon> hstl, can't remember - not long after they started making them I think. I guess they're onto v2's by now. [22:09] <kookie> is there a way you can boot to DE then use WIFI Config? [22:10] <gordonDrogon> you can manually put in a wi-fi config if you need to - not that hard. [22:11] <gordonDrogon> just editing 2 files from the command-line. [22:12] <kookie> must be a way to assign address. 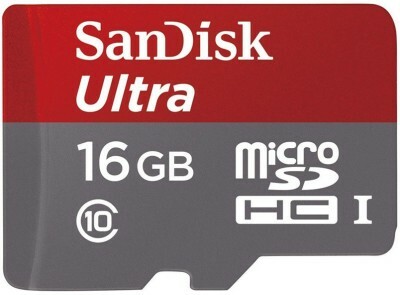 [22:15] <gordonDrogon> hstl, I have a Pi with the same SD card I put in it when I bought it - on the day it was released. nearly 4 years ago now. [22:16] <gordonDrogon> molgrum, ah, ok - wired. it should dhcp by default at boot time - I edit /etc/network/interfaces to put a static IP on mine though. [22:16] <gordonDrogon> hstl, I have heard of people wearing out SDs on early Pi's, but SDs are better now and bigger. [22:16] <gordonDrogon> brb. oven timers going off. [22:18] <Vrooom> can i run android with blue tooth on raspberrypi ? [22:18] <molgrum> can i check somehow whose fault it is? [22:19] <gordonDrogon> molgrum, yes - put the MAC in the router is another way if you need a static IP. [22:23] <hstl> guys, i need two things: chargeable battery for pi and case for pi (pi + chargeable battery + touchscreen must fit in it and also it must have holes for battery chrging and for camera's wire). Did someone make something similar? it must look good. [22:26] <gordonDrogon> molgrum, I use a USB battery charger thingy (Anker) when I need a Pi off the mains. [22:27] <kookie> what is X? [22:27] <gordonDrogon> kookie, it's blue - just a bad photo. [22:27] <CtLeft> anyone had any luck using a UBEC ? [22:27] <kookie> on the pi? [22:27] <gordonDrogon> there was a competition with blue Pi's as the prize, but the foundation kept a few for themselves and gave them out to a few people a while back. it's an older Rev 1 B. I've not powered it up yet. [22:28] <kookie> ok is TTY terminal? [22:29] <CtLeft> molgrum: route add default gw? [22:29] <kookie> what is a UBEC? [22:29] <molgrum> CtLeft: ok, what does it do? [22:31] <CtLeft> so, the molgrum`s pi isnt talking to his router? [22:31] <pksato> Universal Battery Eliminator Circuity. [22:32] <molgrum> does it look right? [22:35] <pksato> Traditionally RC Model use two or more batteries, one for electronic and other to power gears (motors, servos, etc). UBEC (or BEC) allows to use only one battery. UBEC power eletronics. [22:38] <CtLeft> molgrum: should it route to the router address? [22:39] <molgrum> route add default 192.168.1.1? [22:41] <molgrum> but uh... should i do: route add default 192.168.1.1? [22:44] <gordonDrogon> but if the Pi gets its IP via DHCP it should also get the gateway IP too. [22:45] <gordonDrogon> it's a typical default IP address in a lot of routers. [22:45] <gordonDrogon> you ought to be able to ping it from the Pi without a default gateway IP set. [22:46] <CtLeft> and it replies? [22:47] <molgrum> so how to remove the duplicate now..
[22:52] <gordonDrogon> a gateway route won't take a netmask as that's set on the interface. [22:54] <molgrum> maybe route del 192.168.0.1? [22:54] <gordonDrogon> it might not be there anyway. [22:55] <gordonDrogon> as well as doing geek stuff, I run a little catering thing/bakery. [22:56] <gordonDrogon> molgrum, that's looks fine - what I'd expect. [22:56] <molgrum> so the problem is not the Pi? [22:57] <gordonDrogon> what setting on what device? [22:58] <gordonDrogon> I don't know anything about openwrt - although my home/office router is a Linux box - it's just an ordinary Linux Debian box. [22:58] <gordonDrogon> with 5 ethernet interfaces. I use separate wi-fi access points. [22:59] <molgrum> might open a bug ticket but how can i check if it's the openwrt's fault? [22:59] <gordonDrogon> is there a possibility of 2 devices with the same IP address? [23:00] <gordonDrogon> ie. something else using the same IP as the Pi? [23:11] <beowu1f> anyone making use of the 'UPS Pico' here? [23:24] <mac-> have you heard about this book ? [23:25] <mac-> looks like good to learn ARM assembler with use of RPi and Raspbian ? [23:41] <hstl> Hi all again! Does raspberry pi camera work with any webcam program like a common webcamera? [23:51] <Lartza> hstl, What do you mean by "webcam program"?